"Siblings" is a new monthly linky between myself and 9 other bloggers. Each month, on the 10th, we shall post a photo of our children. 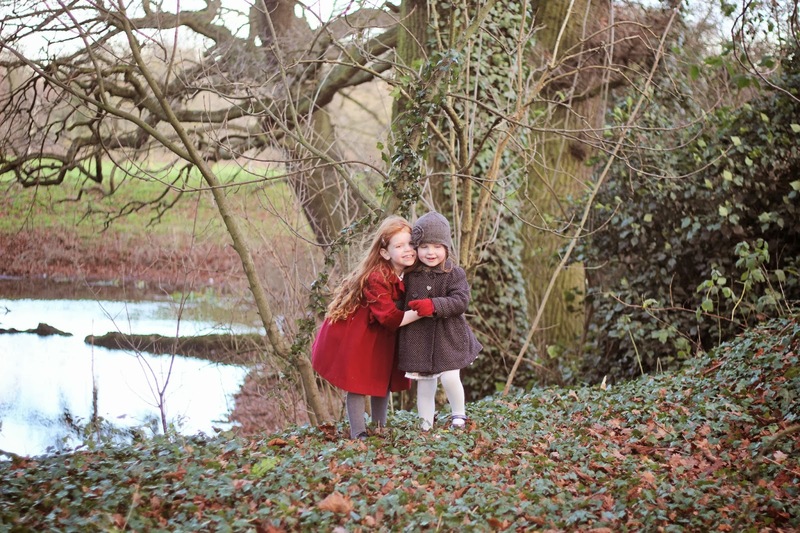 This is such a wonderful project as i often forget to take photographs of the girls together and i cannot wait to have a years collection come next new year. Anyone can link up as well and join each month on the 10th with a photograph of your own children. You can blog hop between all 10 bloggers and see their siblings photos and i would like to send you all to Lauren from Real Housewife of Suffolk County. She has the sweetest little boys and you will love love her blog. Just like i do! Oh wow such a gorgeous setting for two beautiful sisters. Their closeness really comes shining through, it's just lovely to see. Beautiful photo, they seem very close. Your girls always have the most lovely coats and accessories too! This is a lovely idea.You can look back on the year of growing up together. Lovely photo and such a sweet poem. What a stunning photo, such beautiful surroundings and they look so lovely together! What a great idea for a link. And your photo is so sweet! Loved it. What a lovely idea, will try and join in. love that photo its gorgeous :) Who wrote the poem? is it yours, its brilliant! That is such a gorgeous photo and lovely poem - what a great idea! Beautiful photo and a lovely poem. What a lovely idea for a link! Such a beautiful poem to go with the lovely picture of your pretty girls. My J is an only child (though fingers crossed for a sibling:-D), so not sure I qualify for the linky. Lovely idea, though. What a great idea for a linky. And that gorgeous poem... is it yours? Beautiful. I love this project, I'm really looking forward to seeing all the images. What a great photo for the first month. Your eldest looks so grown up in a very small and cute way!!! Love having 2 girls, it's fab isn't it?! Your Daughters are beautiful! I love how you can tell how much they love each other just from a single photo. Amazing!